Hi all, this section is for us to discuss the latest releases in the pony book world. You can tell us what you think of those you've read and also let the rest of us know if you notice a new book thats just come out. I will sticky this thread near the top of the pony books section so we can easily find it when we want to add anything. Grounded by Sheena Wilkinson - sequel to Taking Flight, young adult, excellent! Horse Play by Jo Carnegie - Adult chick lit not my cup of tea but I have this on audio if anyone wants to borrow it. Sun Catcher by Angela Dorsey & Marina Miller - Historical/fantasy? I quite liked Horse Play but the 'horse' content is extremley minimal and shades of jilly coopers jump with the village all turning out to support Nobby when he does put in an appearance! Would definatly recommend Scorpian races...not sure of release date but it would definatly cross as fantasy and has been in 3 for fiver at the works in uk. 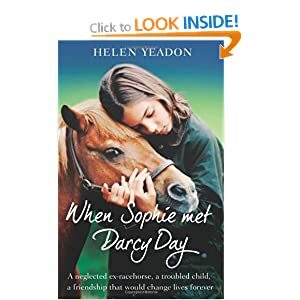 When Sphie Met darcy day is one i've been meaning to read for ages. Non fiction about horse as Therapy basically. The Scorpio one was published in 2011 so it Ok for a new read. Also could qualify as a fantasy! I'm sort of leaning towards that one. I couldnt get into the Darcy one but I'm not very good at concentrating on non-fic so that could be me. Sadly I just ebayed it or I could have passed it on to someone. well i've had it sat around probably a year or so as it was a supermarket buy so probably newly released at time of purchase. Scorpio races is fab! 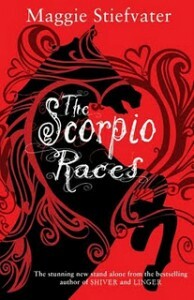 Think I might have got hold of a copy of Scorpio races, but the rest of mine will have to be re reads I'm afraid. Is there anything you havent read I could lend you kunuma, I could easily pop a paperback or 2 in the parcel when I send you your film. Another to add: The Girl Who Rembered Horses by Linda Benson. If you have a kindle this is an excellent fantasy set in a post-apocalyptic world, slightly hunger games type scenario as in they have to hunt for food etc but much nicer, more gentle and with a more sympathetic heroine and of course horses. Sadly no print copies as yet. The Dressage Chronicles by Karen McGoldrick - written by a dressage trainer so will be authentic! I've read very good reviews on the dressage chronicles but don't fancy it myself. Have we mentioned that Lauren St John book from beginning of Year...one dollar Horse i think it was called. It seems none of the 'horse books' are popular enough for 'non amazon...ie free' kindle download sadly so still a bit stuck on my new read. The Pegasus ones - the trilogy are cheap on the bookpeople at the moment - I suggested getting them for school library!!! Haffy I've had a few horsy ones on the free amazon kindle download but they disappeared before I could list them on here. If you keep checking every couple of days they keep putting new ones on. I got the 2nd book in the Amy and Clown series and the first in the Dakotaroo series by Krista Michelle Breen, amongst others. For people without kindle you can download a free PC version from Amazon. Will do a more detailed post about this in the free books section. For those of you who enjoyed The One Dollar Horse by Lauren St. John, there is another horsy book by her out in August. Its called Kentucky Thriller. Its actually the 3rd in a mystery series (Laura Marlin series), dont think there is anything horsy in the first 2, but in this one our heroine rescues a neglected horse, gets into the world of racing and ends up at the Kentucky Derby. I'm just working on a web page for the author now. The Belinda Rapley Pony Detectives series is fairly new - working on a review for this series at the moment and some freebies will hopefully be coming up soon! Also Jane Ayres has re-issued her 2 books in the Matty series (Matty and Moonlight Horse & Matty and the Problem Ponies) the Pras well as adding a 3rd title. They are just in kindle e-book form at the mo, but the money does go to charity (Redwings) so a big thumbs up for that. I think this is going to be an adult title, coming out this June, even though the protagonist is a 15 year old girl. It was on the Publisher Weekly site under "Most Anticipated Books of Spring 2013"
Thanks for that susan. It does look interesting and I like books full of secrets and mysteries! That said, I am a tad wary of books that are 'bigged up' a lot - they often tend to be disappointing. I'm wary of these at the best of times. Not saying they are all bad but on the whole I find them to be either deadly dull or pretentious - or both. I'll take a good whodunit any day over 400 pages of navel gazing! It's actually a British company, not US....I'm thinking that google gave me the US site because it recognized that my computer is in the US. I've ordered books (Dorothy Sayers for me and some of the Lang Fairy books for a friend's children) from them before and they are beautiful. You should have seen the huge British Mail burlap sacks they came in! Haha know those Royal Mail sacks well - they're what I put my parcels in when I send em business class. Never known anyone to deliver stuff in them tho! Just been updating the new books web page (very overdue!) and thought I'd mention some of the more interesting new books that are out or coming out. First, Sheena Wilkinson's new pony book for younger readers than Taking Flight, etc. I was lucky enough to have a sneak preview and its a very good read, very well-written. Its called Too Many Ponies and is out in May. There could also be a copy up for grabs here! Another excellent read is Diana Kimpton's There Must be Horses. You may recall her as the author of the Pony Mad Princess books for younger readers. This new one is a world away from them, its set at older children and is another well written and interesting read. There is also a new pony series being written by Eve Paege called the Golden Pony Adventures. First in the series, If I Won a Pony, is out now. 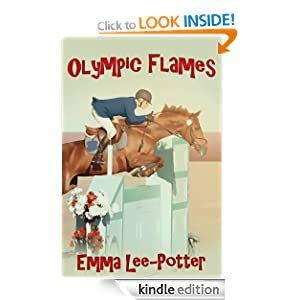 It is very fast paced but has a lot of traditional elements in it such as winning a pony in a competition, buying a neglected pony at auction and saving a pony from the knackers! Nissen Books are republishing Marguerite Henry’s King of the Wind in September. Not sure if it’s ok to say this (Claire, please delete if not) you can pre-order with the Book Depository for £5.99. Thanks for the tip, Haffy! It was free in the US as well, so I've snapped it up!